English Learning Made Easy & Simple: Paragraph Completion ---- Sentence completion by filling in blanks with words given in options---- Exercises from various examination questions. Paragraph Completion ---- Sentence completion by filling in blanks with words given in options---- Exercises from various examination questions. These blanks are required to be filled with appropriate words. For this a few words are given as their options. Out of these one word which is the most appropriate is to be filled in the blank space. Sometimes these words have very close proximity in meaning with each other. There is a chance that more than one word appear to be suitable for use.But the most appropriate word according to its meaning and use in the blank space is required to be selected and filled in it. For this a fair good knowledge of language and proper use of words is essentially required. A wrong word or a misplaced use of a word sometimes makes a havoc with the meaning of the sentence. While selecting appropriate words, the method of selection and rejection of words given as options can be used. A constant practice and wide reading makes things simpler. Here are some exercises for practice..
First identify different parts of speech in the given sentence. Find out the part of speech required in the blank space. Try to find out the link of different parts of speech in the sentence with that required in the blank i.e. 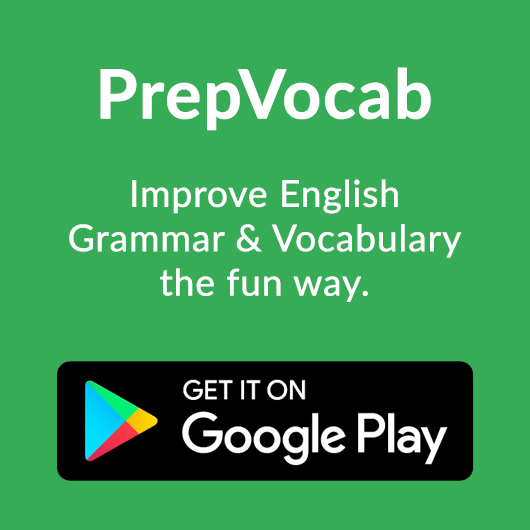 if some noun is required its adjective available in the sentence or if some verb is required, its adverb available in the sentence etc. From the link available, position of the required word can be assessed,i.e. it will tell whether the word will be in singular or plural form etc. 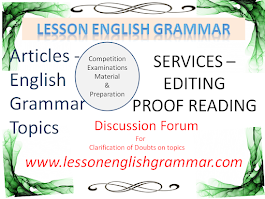 An assessment can also me made from the relative conjunction, preposition or article in the sentence an article singular or plural will tell about the word. An attempt can also be made through identifying and linking the blank with the tense used in he sentence. Above all this the required is to understand the meaning and sense of the sentence and to choose the most appropriate word according to that out of given options to be filled in the blank. A positive or negative sense of the sentence can make indication to the word to be used in the blank. In most of the cases, these sentences comprise of clauses more than one, formation and tense of one clause can give clue to structure of the other clause and thereby about the word to be filled in the blank. To cap all these practice makes the job easy and convenient. In the following passage there are blanks which are numbered. Against these numbers below the passage are given words. Find out the appropriate one of these words/group of words that fits in the blank. or by writing off bad loans. There is a saying " Penny wise pound foolish." 1. Coerced, catered, pressed,forced to,induced. 2. forefeiting, foregoing,yielding, sacrificing denouncing. 3. marking off,writing off,cutting off,diminishing, trimming. 4. protected,secured, safe, thriving sheltered. 5. transmit carry out, transact, convey,conduct. 6. fecund, productive, creative, useful,prolific. 7. careless, reckless inattentive,rapid, thoughtless. 8. growth,development, expansion extension, increase. 9. instructed directed focused,absorbed permitted. 11. basic, core central essential, primary. 12. ignoring avoiding neglecting overlooking disregarding. In the following passage there are blanks which are allotted with numbers. Below the passage are given words/group of words against these numbers. One of these words fits in the blank appropriately. Find out the appropriate option. acting are. The speaker is required to be careful or rather more2……….. 1. (a)Aptitude (b) form of an art (c)occupation, (d)Vocation (e) profession. 2 (a)Alert (b)careful (c) cautious, (d)vigilant, (e)thoughtful. 3. (a)impulsive (b)prudent (c) discreet (d) subtle(e) spontaneous. 4. (a) assembly, (b) crowd, (c) horde (d) gathering (e) multitude. 5. (a) defects (b) shortcomings (c) faults (d)imperfections (e), mistakes. 6. (a) reply, (b) response, (c) reaction,(d) answer, (e)rejoinder. 7. (a) included, (b) involved, (c) contained, (d) comprised, (e) gathered. 8. (a) appreciation, (b) expertise, (c) capability, (d) ability, (e) a good command. 9. (a) clean, (b) neat, (c) foolproof, (d) immaculate, (e) secure. 10. (a) correct, (b) faultless, (c) right, (d) impeccable, (e) ideal. 11. (a) efficiently, (b) well, (c) competently, (d) ably, (e) proficiently. own experiences. This also depends on how well 2………………… a person is. kids responsible adults who can manage their lives well. 7. maltreat, spoil, pamper, misbehave,nourish. 9. accept, shoulder, succumb, support,uphold. 10. inflict, effect, impact, shield,cause. 11. reason, cause, victim, influence, prey. 12. Judicious, intelligent, clever ,shrewd, active. ever growing urban demand for fresh milk from the country..
applications associated to it are also equally 7……………………………… . nanotechnology are nano-scale technology and molecular manufacturing. manufacturing systems that join molecules together. (5……………………) a few years later, if we give them another try. and they (7…………………………..) able to function without it. anxious and people who are not good at figures is a difference in attitude. having intuitive thinking should be encouraged and rewarded in the class. percent from the level of 1990.
wherever it is available in the market using their own means. industrialization and a burden on their finances. Following is the extract from question Paper of IBPS clerks held on December 6, 2015. Directions (26 - 30 ) : In the following passage, there are blanks, each of which has been numbered. These numbers are printed below the passage and against each, five words are suggested, one of which fits the blank appropriately. find out the appropriate word in each case. Once upon a time, there lived a poor orphan who was an exceptional artist and would often draw pictures of rivers,mountains and people. One day, a fairy gifted him golden paint brush and to his great .........26.........whatever he painted with the brush came to life. His fame spread and he was brought to the king's .........27..........The king and his ministers took the boy into the fields. ' .........28.........an ocean here! 'ordered the king. The boy protested that it wasn't right and the fields and houses would be .........29........ But the king ordered him to paint the ocean and a storm. the boy painted ............30.......... and the storm was so violent that the boat in which the king and his ministers were overturned, killing them. 26. 1.doubt 2. surprise 3. miracle 4. sorrow 5. problem. 28. 1.Sail 2. origin 3. cry 4. create 5. find. 29. 1. damage 2. hurt 3. form 4. destroyed 5. wiped. 30. 1. slowly 2. similar 3. equally 4. skillful 5. accordingly. 26. (2). This sentence is in positive and optimistic sense. So the words -doubt, sorrow and problem are not correct. Similarly miracle also does not suit here. Only the word Surprise is correct. 27. (3) The person was brought to king's........Here words like dilemma, justice and riches do not fit well. Favour is also not correct here. Court is the correct answer. Court is the place where king and his ministers meet and take decisions. 28. (4). The king ordered ' ........an ocean here' Here a verb is required. So origin is incorrect. Sail and cry are also not according to the sentence. Out of find and create , Create is the appropriate word to be used here. 29. (4) Here , after would be, third form of verb is required. So the words damage and form are out -rightly ruled out.Hurt also does not fit here. Out of the words wiped and destroyed , destroyed is the most appropriate word. 30. (5) The sentence is - the king ordered......and the boy......and. ----meaning ---the boy acted according to the orders of the king. Here adverb is required. Hense 'Accordingly' is the correct word to be used here. Read and Learn More from video ! Please dont forget to like and comment if you learn something new! Thanks!! !